Some of you saw that my 01' 6 banger was f'd over by some A-hole a few weeks ago. 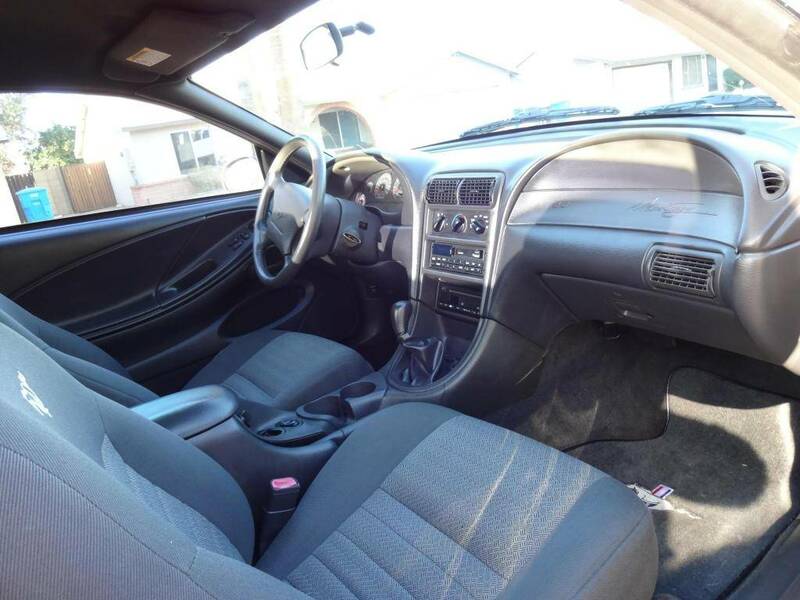 I'm pretty happy with it, it just turned 100K, the interior and exterior are in excellent shape, I picked it up for $5800. is that a 35th anniversary badge on the side of it? Car looks good. But Stalker, really? 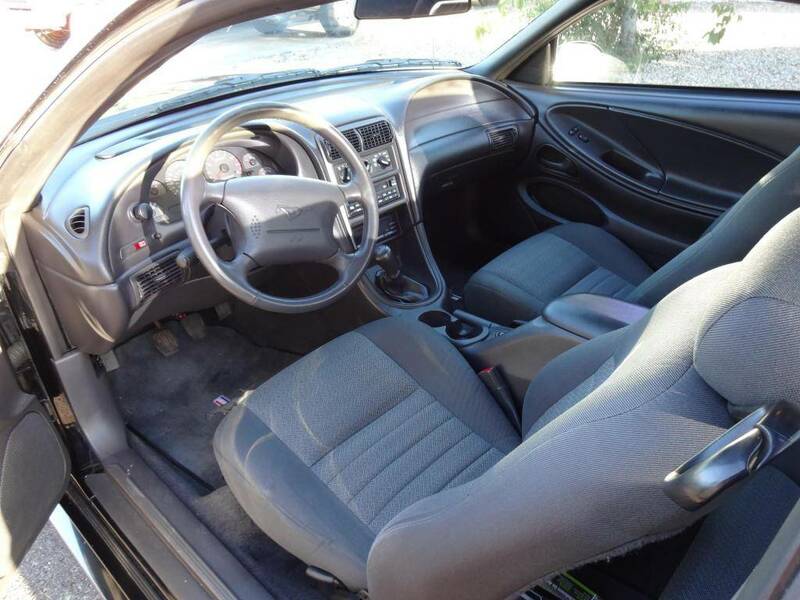 A black car with a dark interior in Arizona? So you dropped two model years but picked up two pistons; not a bad trade. 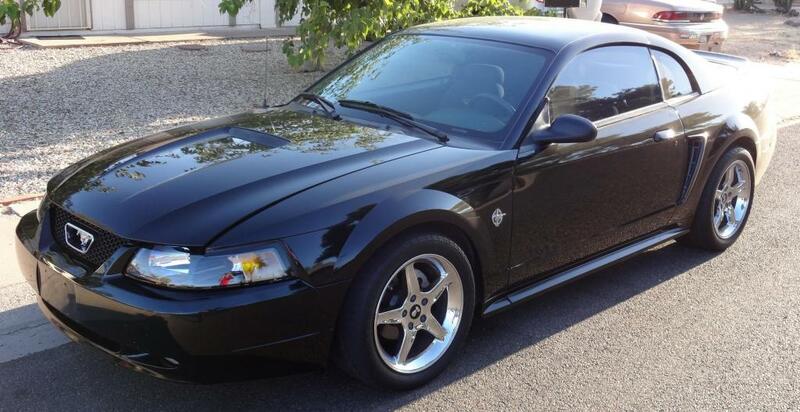 What wheels are you eying as replacements to the chrome Cobra R? Will you be keeping the 315s? I'm a sucker for a black car. Looks great, I bet having the V8 sound and power all the time now is nice. All 99's have 35th badges, although it doesn't have the 35th package. 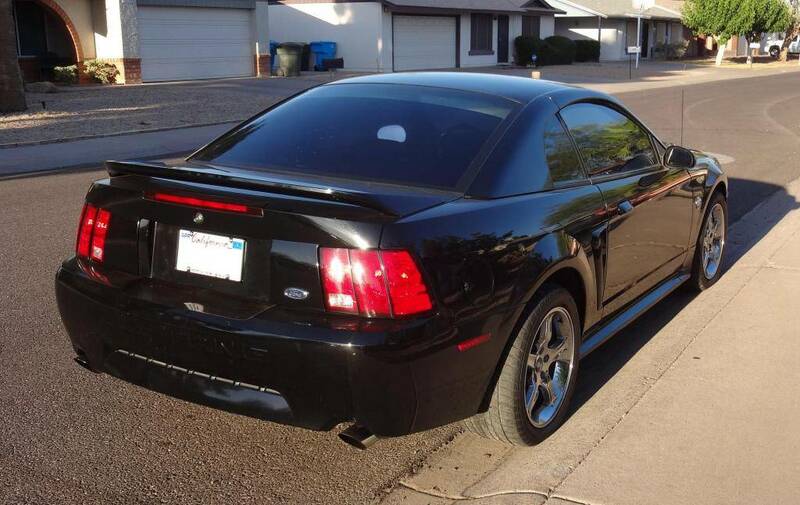 Yes its black, and its got dark charcoal interior, but for how nice the car is, I couldn't pass it up. I have my eye on black chrome Saleens, and I'll probably just do 275/35's all the way around that way I can rotate them. Plus 315's are too damn expensive. I do enjoy the V8 sound again, its been like 4 years since my fox has ran. But its too quiet, my V6 was louder. I have some exhaust plans for it hopefully within the next 2 weeks. 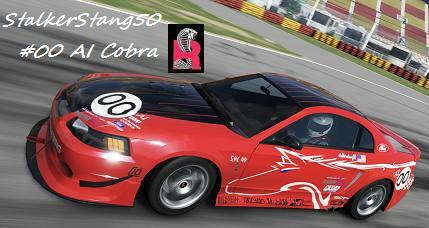 StalkerStang wrote: …I do enjoy the V8 sound again, its been like 4 years since my fox has ran. But its too quiet, my V6 was louder. I have some exhaust plans for it hopefully within the next 2 weeks. My vote is for Spin Tech mufflers. Nice ride Stalker! I've been considering one of these as a daily for a while. My 03 Buick is great on the highway but I miss the v-8 rumble around town. Well it still needs to pass emissions, so it needs cats. The factory H-pipe has 6 F'n cats on it lol.... So I am having 4 removed and pipe welded in their place on the facory H-pipe. I already have my sites set on Flowmaster's stainless steel cat-back kit. I'm pretty excited. StalkerStang wrote: All 99's have 35th badges, although it doesn't have the 35th package. +1 on the flow masters and getting rid of the cats... stupid cats! Oh no, you too? Not Blowmasters. 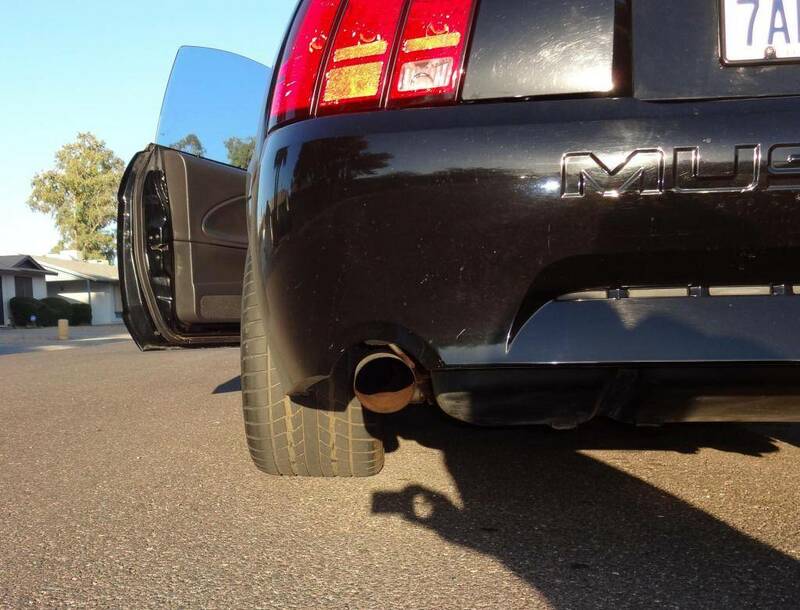 Every single Mustang has a "cat back exhaust system with 2-chamber Flowmasters." Definitely agree with removing the extra catalysts. An X-pipe won't hurt emissions, nor will glass packs, FYI. They just breathe better. And, are you sure those are all cats? 6 is very excessive IMO. I would bet that atleast two of them are just resonators. You could still remove them, I probably would, but I find it odd that you would need so many cats in the first place. Avanti, I've been in the Mustang game for a while now, and I noticed a trend in the Mustang world hating on Flowmasters a while back. 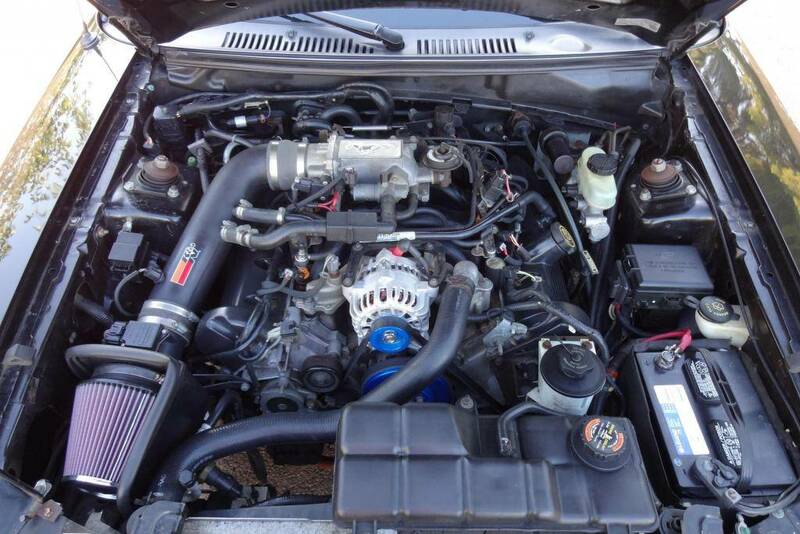 Magnaflows and Borlas have gained a lot of popularity, so people started ditching flowmasters. Which is exactly why I want to run them. Plus I have always liked flowmasters. They sound good when set up properly, not hacked together. Sim, they are not resonators, they are full on cats and they are inbetween the upstream and downstream sensors. In 01, Ford eliminated 2 of them. And I'm not worried about an X-pipe affecting emissions, I just don't want to spend $300-400 on a X-pipe when the mexican muffler shop will charge me $50 bucks to hack off some cats. I don't plan to open up the heads or change the cams, so the stock mid-pipe with some cats removed will be more than enough for it. Plus you lose some dead weight (from losing cats) which is always nice!